Several tools have been invented to cultivate 5 to 12 cm from the crop. To avoid root damage, typical working depth for near-row tools is shallow: 2 to 5 cm. 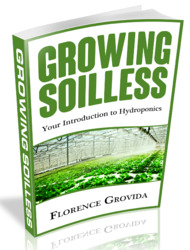 Furthermore, when working close to the crop, soil must flow either parallel with, or away from, the row to avoid burying small crop plants. Basket weeders and brush weeders can work closer to the row than disk hillers and spyders because their rotation is parallel to the row and thus the leading edge is no closer to the row than is the point of contact with the soil. Vegetable knives (beet knives) are L-shaped knives with a low pitch so that soil movement is minimal. 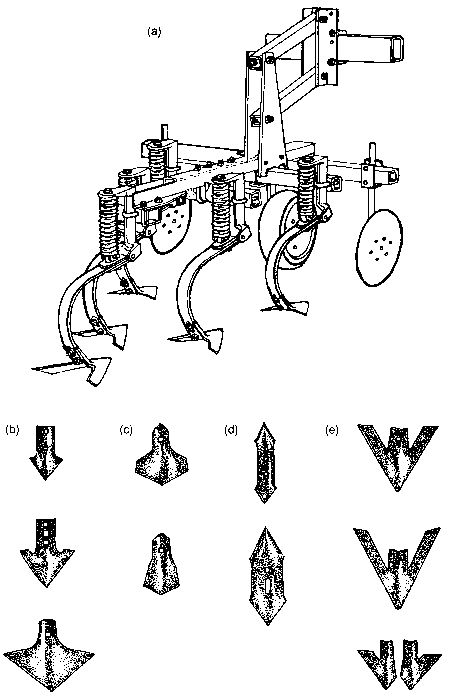 For early cultivations, the vertical portion of the knife is run close to the row and the tip points toward the inter-row. At later cultivations, the tip is reversed so that the surface soil can be cultivated under the crop canopy. cm) than most disk hillers, and this allows them to work closer to some crops. Also, when cutting soil away from the row, they leave a loose soil layer next to the row rather than a smooth shoulder, and this probably reduces soil drying rather than encouraging it. Basket weeders consist of two sets of rotating wire cages. The forward cages are ground driven; the rear cages are driven by a chain connected to the forward cages, and turn twice as fast. Penetration is shallow, 2 to 5 cm, but the soil is thoroughly worked. Consequently, few small weeds escape substantial damage even if they are not completely uprooted. The implement is unsuited to stony ground because rocks bend the baskets out of shape and can become caught between adjacent wires. may work in wet soils (Weber, 1994). An additional advantage is that, like basket weeders, they leave a loose, uniform soil surface that is not conducive to weed germination. 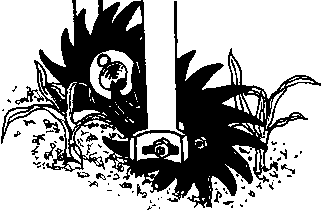 Horizontal-axis brush weeders require a flat seedbed for consistent depth of operation (Geier & Vogtmann, 1987).